In April 2017, the Government launched the Litter Strategy for England 2017 which detailed its intention to tackle littering through education, enforcement and infrastructure.� This has been followed by a recent announcement to increase the maximum value of fixed penalty notices for littering and introduce legislation to tackle littering from vehicles. This report outlines the Strategy�s key actions, the work already being undertaken locally and recommendations for the future to support the work of the new on-street enforcement team. 1. To note the national actions of the Litter Strategy for England 2017 and to agree to support the continuation of local actions as set out in Appendix A. 2. To increase the current Fixed Penalty Notice for Littering from �80 to �120. 1.1 In April 2017, the Government launched a new Litter Strategy for England with an ambition to be �the first generation to leave the natural environment of England in a better state than it found it�.� The Strategy is to apply best practice in education, enforcement and infrastructure to deliver a substantial reduction in litter and littering behaviour. 1.4 This report sets out the primary actions identified within the Litter Strategy for England and the work being undertaken locally in Maidstone Borough to support our priority of �a Clean and Safe Environment�. A full list of the actions is shown in Appendix A. 1.6 A Litter Innovation Fund has also been launched to deliver small scale local projects.� Each successful application will receive funding of up to �10k to deliver their project.� The intention is for this to test new innovations and extend the implementation of best practice.� The Council has already made an Expression of Interest and has been asked to submit a full application for the funding.� The project proposed in Maidstone is for large anti-littering sculptures to be used in key locations as an alternative to the standard signage commonly used. 1.8 The Strategy looks to balance stronger enforcement with a proportionate and appropriate response to drive a cultural change to littering.� Along with the Strategy, the Government also launched a consultation to consider increasing fixed penalty notices for littering.� The Council responded to this consultation as part of the Kent Resource Partnership, supporting the increase in FPN value to reflect the cost to the local taxpayer. 1.9 The Strategy also highlighted the issue of littering from vehicles and proposed to introduce legislation to enable local authorities to take enforcement action against the registered keeper of vehicles from which litter is proven to originate. This has only previously been allowed by London Authorities. 1.10 However the Strategy is clear that enforcement action must be proportionate and appropriate and cannot be considered as a way to generate income for local authorities.� New guidance is proposed to help ensure enforcement action is used when it is in the public interest to do so, and the enforcement action needs to be transparent. 1.12 Roadside litter particularly on the Strategic Road Network, which is more challenging to clean, has been identified as a target area.� The Strategy notes the work already being taken by Highways England to tackle litter hotspots and to work more collaboratively with local authorities.� It recognises the challenges of cleansing high speed roads and seeks to find ways to overcome the barriers. 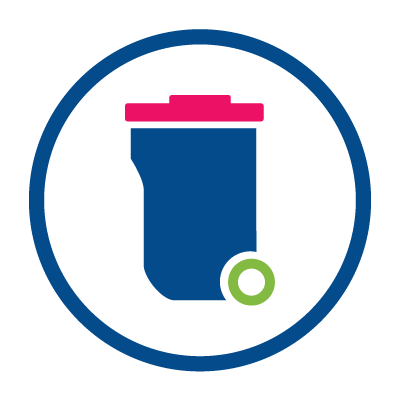 1.13 The provision of litter bins; the number, design and location vary from borough to borough and are often an area of significant consideration and debate.� The Strategy proposes guidance on �binfrastructure� to provide best practice and consistency. 1.14 The Strategy also acknowledges the role packaging design has on the generation of problematic litter.� It seeks to work with these industries to identify ways to improve recycling and reduce the likelihood of the waste ending up as litter. 1.15 �In October 2017, the Government�s Environment Minister, Therese Coffey announced new steps to be introduced following completion of the public consultation. - From April 2018 the maximum on the spot fine local authorities can issue for dropping litter will nearly double, from �80 to �150.� The minimum fine will increase from �50 to �65, while the default fine will increase from �75 to �100. 1.17 This poses two opportunities for Maidstone, firstly to consider increasing the fixed penalty notice to reflect the costs to the Council and secondly to actively tackle littering from vehicles.� This could be delivered by the new on-street enforcement team which will be in place by April 2018 as well as the Waste Crime Team supported by the Waste Crime Response Team, the operational team tasked with the removal of fly tipping. 2.2 Option 1 - Note the actions proposed by Government in the Litter Strategy for England but take no specific action to change the approach to engagement or enforcement in Maidstone.� This includes retention of the existing FPN value of �80. 2.3 Option 2 � Increase the value of the FPN to the maximum of �150 for littering including from vehicles. 2.4 Option 3 � Increase the value of the FPN to �120 for littering including from vehicles as a proportionate penalty and offer a reduced charge of �90 for the early payment (within 14 days) of the FPN. 2.5 For both Options 2 and 3, it is also proposed that the Council supports the actions set out within the Litter Strategy for England and through the Kent Resource Partnership, provides information and feedback to the working groups tasked with a number of actions within the Strategy. 2.6 Alternatively the Committee could decide to propose an alternative amount for the FPN between the value of �65 (minimum set by Government) and �150 (maximum set by Government). 3.1 It is recommended that Option 3 is agreed by the Communities, Housing and Environment Committee.� This option takes into account the Government�s requirement for the FPN to be proportionate and reflect the local situation.� It does not seek to increase the FPN to the maximum allowed but by �10 for the majority of offences.� However the option also includes a higher charge of �120 for those who do not make payment within the first 14 days.� The reduced charge for immediate payment is intended to increase the payment rate and reduce the need for cases to be referred for prosecution. 3.2 The small increase in income will be used to fund an improved back office system which will be able to fully manage the information for issuing, reconciliation, payment and prosecution of littering offences. 3.3 It is also recommended that the Committee agrees to support the actions of the Litter Strategy for England through local actions to increase education, improve infrastructure and deliver stronger enforcement. 3.4 Option 1 is not recommended as it does not acknowledge the importance of tackling littering and the effect litter has on the perception and appearance of the Borough.� The public consultation identified that 85% of respondents supported an increase in the FPN value, showing the level of public interest in maintaining a clean and attractive environment.� This is also supported through local residents� surveys and the Council�s own priority of �a clean and safe environment�. 3.5 Option 2 is not recommended as the maximum value of the FPN is considered to be too significant increase to the current value of �80, which would be disproportionate to the offence.� In addition it could be considered that the Council was seeking to generate an income from the FPNs which is contrary to the information contained within the Strategy and likely to be in the guidance due to be launched in January 2018. 4.2 A risk assessment associated with the recommendations contained within this report is attached in Appendix B. 4.3 Three risks have been identified, all of which are managed carefully as per the Policy and therefore are within the Council�s risk appetite. 5.1 The Government carried out a public consultation into a number of the proposals within the Litter Strategy for England.� This identified 85% of respondents supported an increase in the FPN value for littering.� The Council contributed to this consultation through a joint response by the Kent Resource Partnership. 5.2 This committee has also previously been consulted on the enforcement service through a number of recent reports.� The most recent was the agreement to introduce an in-house on-street enforcement team by April 2018.� Through these discussions with the Committee, the issue of littering from vehicles has been highlighted as an area the Council wishes to tackle. 6.2 It is proposed that the increase in FPN value, reduced charge for early payment and the enforcement of littering from vehicles will be introduced with the on-street enforcement team in April 2018, subject to the relevant legislation being in place. A risk assessment has been carried out and identified 3 risks.� Existing and proposed mitigation have been included in Appendix B.� The risks are within the Council�s risk appetite and will be managed according the Policy. The proposals set out in the recommendation are all within already approved budgetary headings and so need no new funding for implementation. �The additional charge per FPN will be used to cover the cost for a back office system which is expected to enable full management of the FPNs from issue to prosecution where applicable. The recommendations do not propose a change in service therefore will not require an equalities impact assessment.� However, it is important that, should there be a change to the financial penalty incurred; this is communicated widely including hard to reach groups.